So far, I've tried three different mantel substitutes here. First I used the top of my piano for an Early Summer Mantel. It worked quite well, but then we moved the piano out of the front room to convert it to an office. 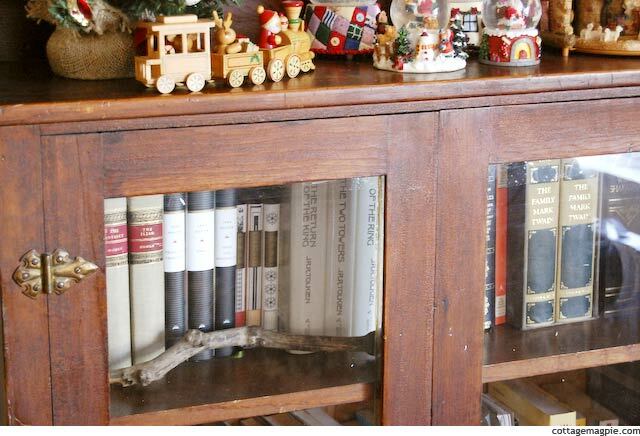 So then I tried the glassed bookcase in my bedroom for my Fall / Halloween Mantel. that worked pretty well, but it wasn't that festive for the rest of the house, since nobody ever saw it! So this time I had the idea to use the glassed bookcase in the entry hall. 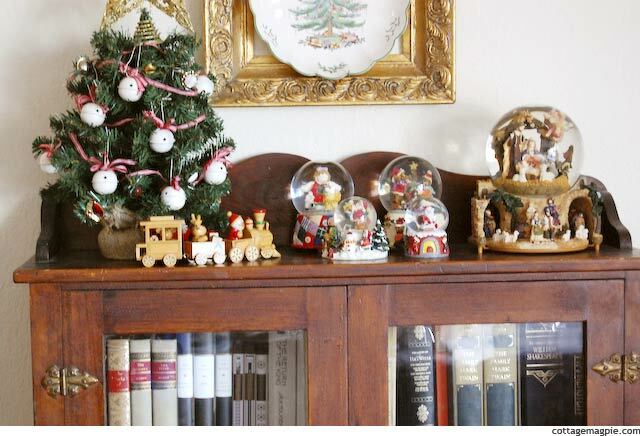 So here it is: my Christmas Vignette, aka Yet Another Faux Mantel. 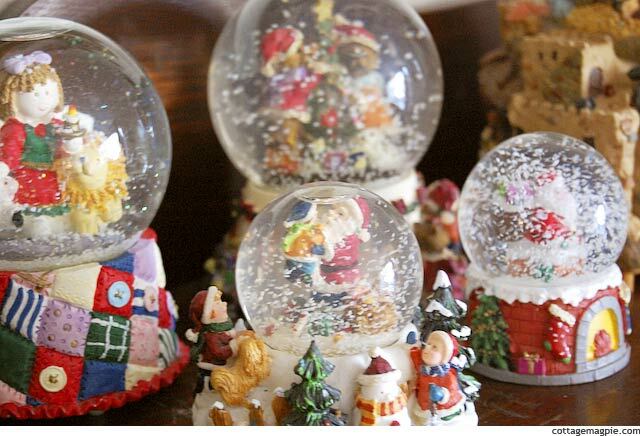 It's got my Christmas snow globe collection on it, and a cute little vintage toy train that Mr. Magpie found at the thrift store (cute!). I also put the little mini tree that I usually decorate with old clip-on earrings. It used to be in Rocket Boy's room, but I swiped it for this little spot this year. Hanging above is my new thrifted Spode Tree plate, and that's about all there's room for. It's just a little bit of Christmas nostalgia right when you walk in the door. I love it. 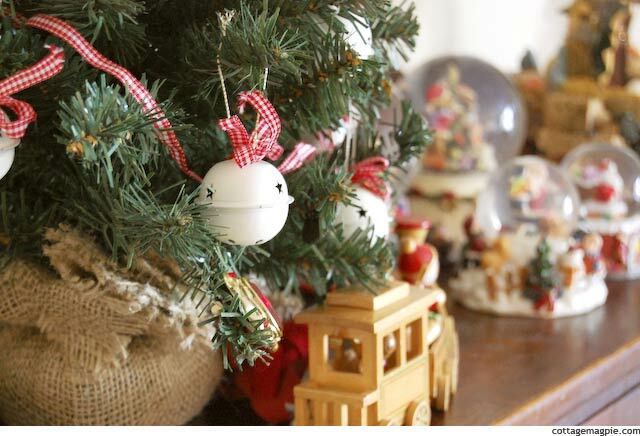 Do you have a Christmas mantel or vignette this year?